Freed from years of sanctions, Iran is determined to reclaim its share of the global oil market -- whatever the price. 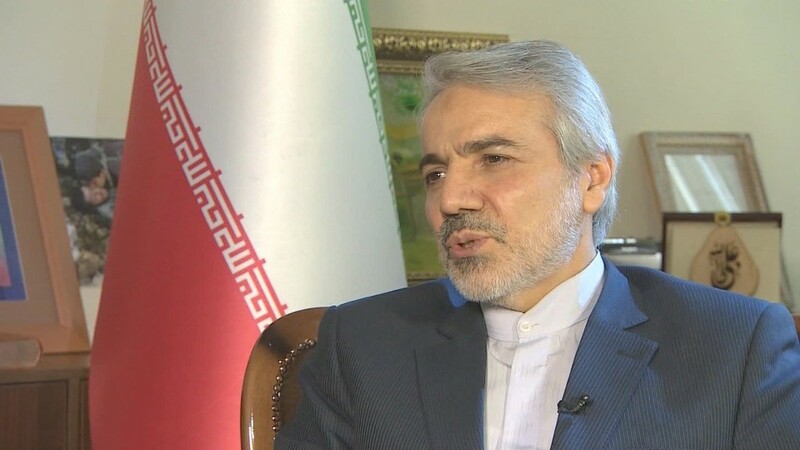 One of the country's most senior economic officials, Mohammad Bagher Nobakht, told CNN other members of OPEC should reduce output to make room for more Iranian oil exports. "Iran has decided to win back its share of OPEC production at all costs," Nobakht said in an interview. "The declining oil price is certainly not what we base our decisions on. And if the supply of oil is to decline, it should be the countries that increased their production while we were under sanctions that should scale back now -- they should let Iran have its share of the market." The 75% collapse in the price of crude oil over the past 18 months has been triggered by a ferocious battle for market share waged by OPEC, led by Saudi Arabia, against producers such as the U.S. and Russia. Revenues have plunged, bringing some oil producing nations to the brink of collapse, throwing thousands of people out of work, and delaying or killing investments plans worth hundreds of billions of dollars. Some OPEC members have had enough. They want the cartel to meet urgently to discuss ways to get prices moving higher again, but Saudi Arabia won't agree. Nobakht, a close adviser to Iranian President Hassan Rouhani, said Iran was unhappy with current OPEC policy and was trying to get agreement for change. "We believe that OPEC should decrease the supply of oil to the market because we need a balance between supply and demand," he said. "On the other side the members of OPEC should stick to the shares they have been allocated and Iran should be able to sell the share that it had before the sanctions. This requires a unanimous decision of all members." Iran expects to increase oil exports by about one million barrels per day within a year, on top of 500,000 barrels per day it has started selling from storage. The country is in a better position than many other exporters to cope with rock bottom oil prices, partly because its production costs are as low as $13 a barrel (the market price is $30) but also because its dependence on oil has fallen in recent years. "Maybe the sanctions are one of the causes," Nobakht said. "In the new budget plan that we have offered the parliament for the next Iranian year, the share of oil is less than 25% per cent. That means that we have separated 75% of the resources we need to run the country from oil revenue." Within five years, Iran hopes to have removed oil revenue entirely from current government expenditure, using it exclusively to invest in the infrastructure of the country, he added. Rouhani is visiting Europe this week to sign deals with companies. Nobakht said Iran was looking for foreign investment of up to $300 billion to achieve its goal of generating economic growth of 8% on average over the next five years. "And we can easily create 900,000 to one million jobs, especially for the educated young people. This is a realistic figure, not an optimistic one." European companies are expected to snap up many more contracts than U.S. firms, but Nobakht stressed Iran was open to doing business with America. "Of course there are many considerations when choosing investors, but on the whole there are no limitations for the American companies to invest in Iran," he said. "We distinguish between American businesses and the policies of the American government, which we oppose."